Fraser Valley Academy of Dance students are spending yet another summer training at prestigious dance schools across North America after being accepted at every audition they attended this year. These students will train for four weeks at some of the best facilities in the world, taught by former professional dancers, some of whom were dance colleagues of FVAD’s Artistic Director John C. Carney. FVAD Student Marin Greenan (at age 14). Photograph by Rick MacDonald Photography 2015. 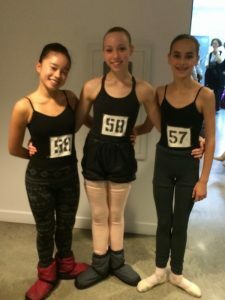 FVAD Students Ann Li Jie, Marin, Priscilla at an audition for summer intensives. 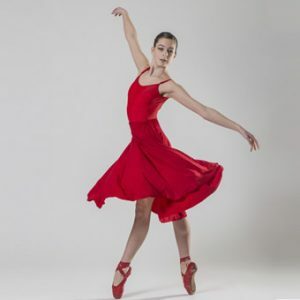 Priscilla Gubiotti (14) and Marin Greenan (15) are in Toronto at Canada’s National Ballet School, Elle Penner (11) is at the Royal Winnipeg Ballet School, and Ann Li Jie Vennes-Ouellet (14) has travelled south to the San Francisco Conservatory of Dance. FVAD alumna Kaylie Conner is enjoying summer at the Royal Ballet School in London, UK. Other students accepted but who opted not to attend include FVAD’s Selah Lyons (13) who was invited to the School of Alberta Ballet, and Tiffany Reitsema (13) who earned a place at Montreal’s L’École Supériore de ballet du Québec. 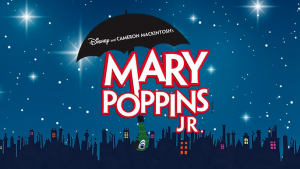 The summer intensives are also second-level auditions for each school’s full-time Professional Division. Students travel daily into Mission from Abbotsford, Chilliwack, Maple Ridge, Langley and Surrey to train at FVAD under Mr. Carney’s direction. Summer students travel in from as far as Terrace. Travelling for his art is nothing new to Mr. Carney who, at 15, was accepted into the full-time professional training program of the Royal Ballet School in London, England, where he would live for the following two years. At 17, while still a student, he was invited to join English National Ballet where he became Soloist. He toured the world for many years with the company, working alongside some of the most renowned dancers and choreographers, including Rudolph Nureyev. He would continue performing at theatres around the globe for several more years after joining the famous Rambert Dance Company. A main goal of Mr. Carney has always been to prepare his students at the right age for entry into international dance company schools and performing arts colleges, the best step towards a professional career. After only 8 years in Mission, his students have already been accepted into the full-time professional programs of Canada’s National Ballet School, Royal Winnipeg Ballet School, Joffrey Ballet School (New York City), School of Alberta Ballet, Randolph Academy for Performing Arts, and the Rambert School of Ballet & Contemporary Dance (London, UK), as well as numerous international summer intensives. Fraser Valley Academy of Dance is located in the historic Masonic Hall in Downtown Mission at 33219 1st Avenue. For more information about the Academy, visit fvad.ca or call 604-826-0097. 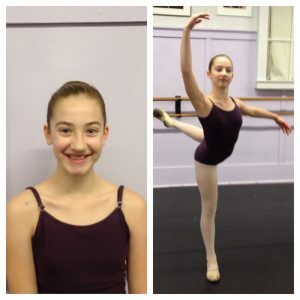 Next Post: Summer at Canada’s National Ballet School!